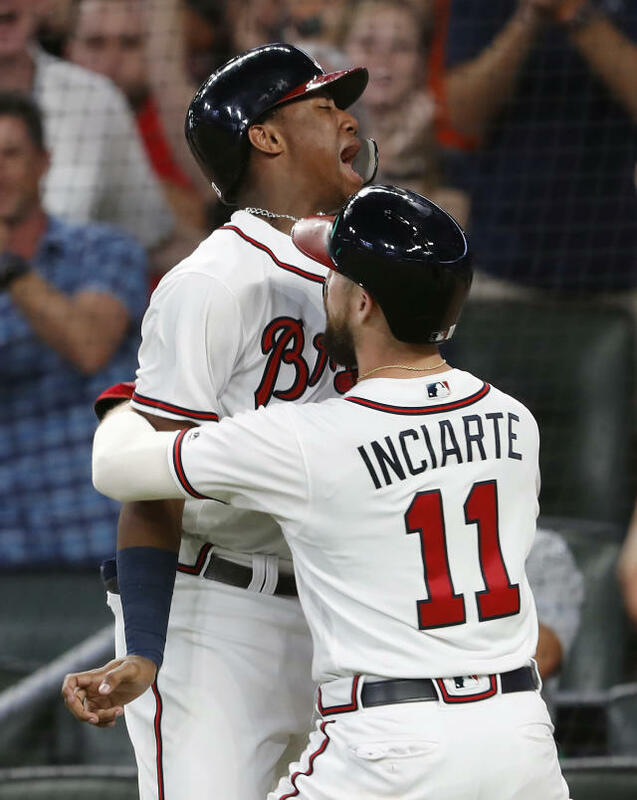 ATLANTA (AP) — The Baby Braves are all grown up. It's almost time to celebrate. 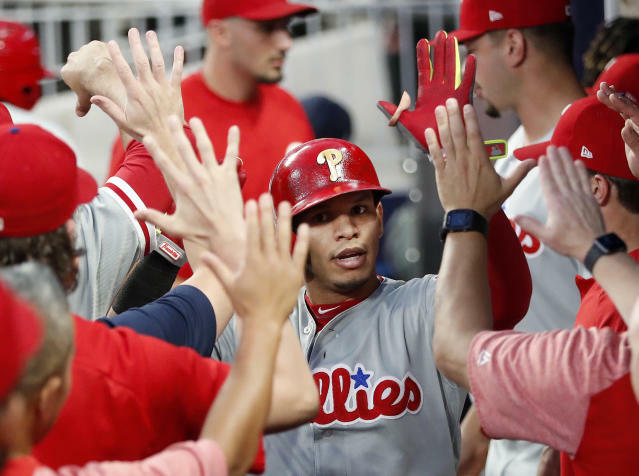 With another gutty performance that pushed Atlanta to the brink of its first NL East title since 2013, the Braves bounced back from Ronald Acuna Jr.'s defensive blunder with a five-run seventh inning that carried them past the Philadelphia Phillies 6-5 Friday night. 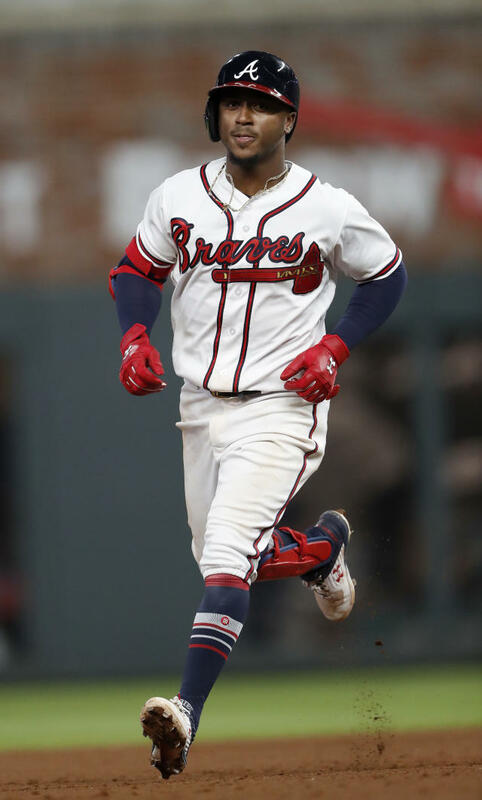 Ozzie Albies sparked the comeback with a two-run homer and Johan Camargo finished it off with a two-out, two-run single, giving the youthful Braves a chance to celebrate as soon as Saturday afternoon with one more victory over the second-place Phillies. "Man, this might be doable,'" manager Brian Snitker deadpanned. Acuna misjudged Wilson Ramos' liner to left in the top half of the seventh, turning what should have been an out into a two-run double. 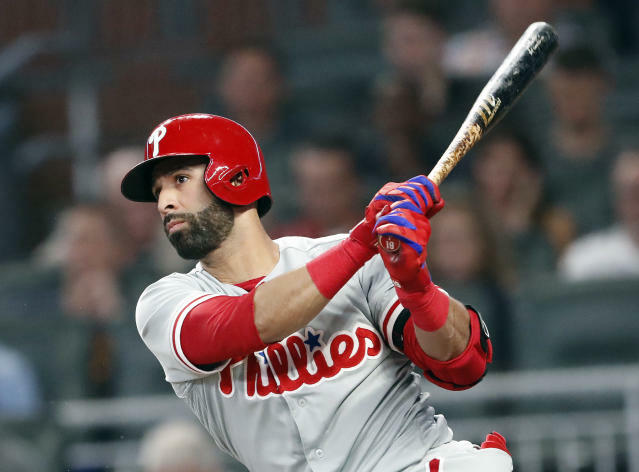 Pinch-hitter Jose Bautista tacked on a run-scoring single, giving the Phillies a 4-1 lead. Tyler Flowers led off the bottom half with a single off Pat Neshek (3-2), and Albies followed with a drive into the right-field seats for his 23rd homer. Dansby Swanson walked and Lucas Duda followed with a pinch-hit single before Neshek finally got an out — on a grounder that bounced off the third-base bag and was backhanded by Asdrubal Cabrera, who threw home to get Swanson trying to score. That was only a brief respite for the Phillies. Luis Avilan surrendered a run-scoring double by Ender Inciarte into the right-field corner. With two outs and the bases loaded, Camargo came through on a 3-2 pitch by lining a single to left to put the Braves ahead for the first time all night . 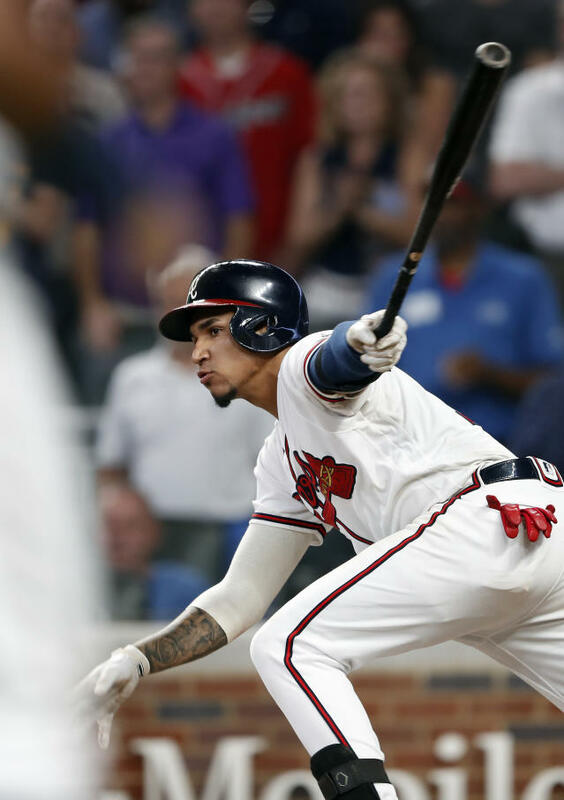 "There's an 'it' factor with teams," Snitker said. "You don't know how they get it. But when they've got it, it's really something special." 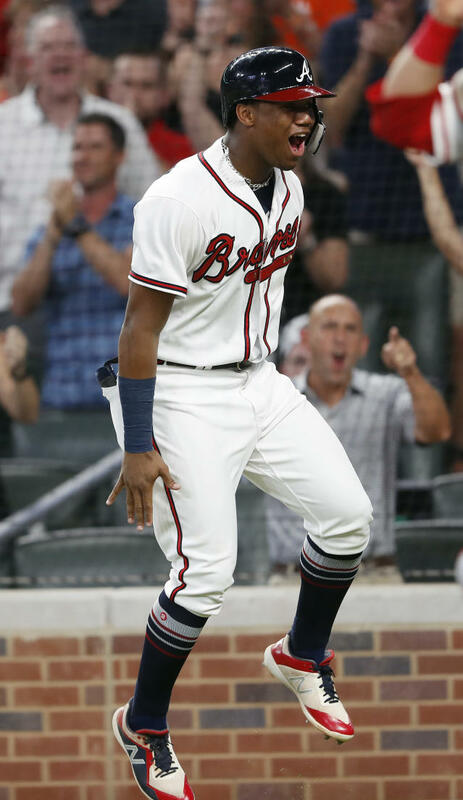 Acuna and Inciate celebrated at home plate, while Camargo pumped his fist emphatically at first, knowing he had pushed the Braves another step closer to the postseason. 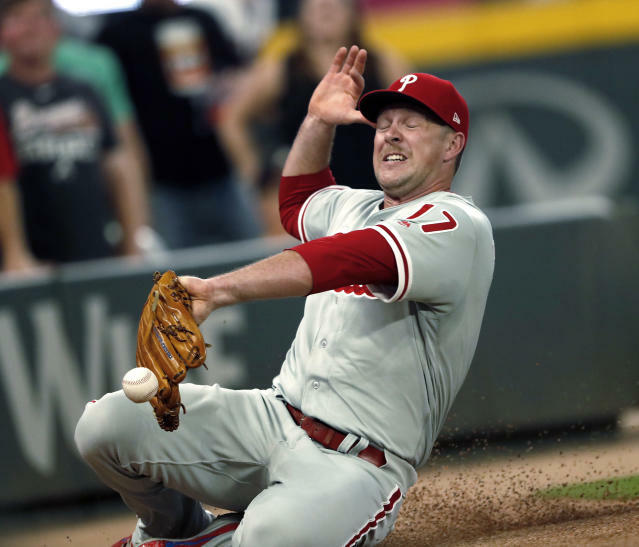 The Phillies dropped 7 1/2 games behind the Braves, while the Washington Nationals were eliminated from the division race. After their last NL East title, the Braves went through a massive rebuild that led to three straight 90-loss seasons. With some of baseball's brightest young stars, including 21-year-old Albies and 20-year-old Acuna, they're pushing for the playoffs far sooner than most people expected. Julio Teheran and Freddie Freeman are the only holdovers from Atlanta's last playoff team. "We were talking about it the other day," Teheran said. "It's been a while since the last time we did this. We're excited. We have a new team. I'm excited to see the guys do it for the first time. It's going to be different for me. I was a rookie the last time we did it." 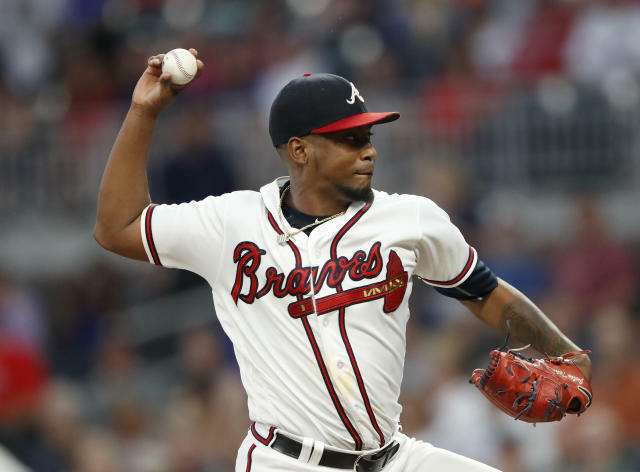 After giving up a leadoff homer to Cesar Hernandez, Teheran turned in one of his best outings of an inconsistent season. He didn't allow another hit until pinch-hitter J.P. Crawford started the sixth with a triple off the right-field wall. Teheran escaped that jam by striking out Roman Quinn, getting Hernandez on a grounder to second and retiring Rhys Hoskins on a fly ball to right. But the Braves defense let Teheran down in the seventh. With one out, Justin Bour walked and Carlos Santana singled before Ramos sent a liner to left field for what should have been the second out. Acuna completely misjudged the ball, however, realizing too late that it was over his head. After a futile leap, the rookie had to go all the way to the wall to retrieve it, as both runners raced home to break a 1-all tie. Jonny Venters (4-0) claimed the win by getting the final two outs in the seventh. A.J. Minter earned his 15th save despite giving up a run in the ninth , striking out Quinn to end the game with a runner aboard. 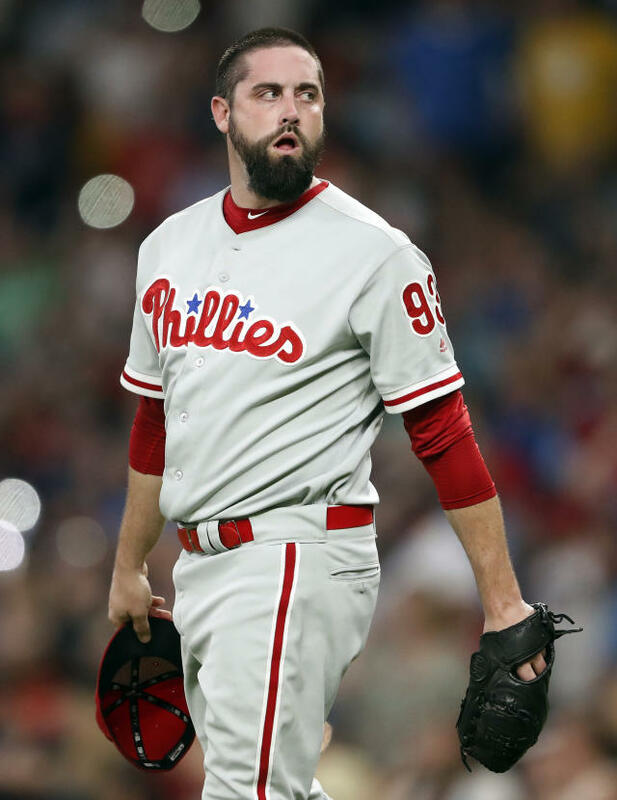 After a very effective season, Neshek had one of his worst outings. The side-arming right-hander was charged with four runs while recording just one out, bouncing his ERA from 1.16 to 2.66. Neshek claimed home-plate umpire Gerry Davis missed several pitches that should have been called strikes. "When you leave it in thee ump's hands, that can happen," Neshek said. "It just didn't go my way." The Braves will likely want former closer Arodys Vizcaino to pitch in back-to-back games before deciding whether he deserves a spot on a postseason roster. Vizcaino has allowed three hits and two runs in three innings since returning from the disabled list a week ago, but he had his most impressive performance with a scoreless inning against the Phillies in the series opener Thursday. The hard-throwing right-hander had 15 saves before he went on the DL with shoulder inflammation. He missed 55 games. The Braves are skipping LH Sean Newcomb's spot in the rotation, moving up RH Mike Foltynewicz (11-10, 2.90 ERA) to make Saturday's start against Phillies RH Jake Arrieta (10-9, 3.77 ERA). Newcomb has a 7.44 ERA over his last seven starts, endangering his spot in the possible playoff rotation after he spent much of the season as one of Atlanta's most effective pitchers. Newcomb will be available out of the bullpen for the remainder of the weekend but could still make another start in the final week of the regular season, according to Snitker.